We are making an ofrenda in Spanish class, and we are dedicating it to Avicii. He was an amazing and inspirational person and DJ for all of us. We have listened to his music in class and we can't wait to summon him back from the dead! Just kidding, but we wish. Avicii, he inspired me through his songs. He was one of the people who let me see the real value and meaning of life. Through his music, I was inspired to keep going,study hard so that I will be able to explore and meet you, its been a dream but you left early, but, i keep going because you said, "one day,you'll leave this world behind, so live a life you will remember" Its been 7months, tim. You & your music remains in my heart❣ fly high! you've connected me till the point that every song of yours is part of my life, thank you tim, i know i won't be able to see you live as I expected when I was younger, but at least your music will be in my heart forever. Avicii, first time I listened to your song in the autumn of 2013. -"Wake me up". I searched on the website, and then I were starting to know you. You came from Stockholm, coincidentally, I had stayed in Sweden for 2 years, I love this place and you. I was so depressed and nervous at that time. It was your song that inspired me during that time. Every time I listen to your song, full of loging and hope. I will continue to live wonderfully with your songs day by day. Tim. There are no words that could express my feeling to you and your music. Your songs are in my "must-have" playlist and I listen to them every time I hit the road. They bring me energy and excitement. I am turning 28 this month. I am so proud to be born in the same year with you and to witness such a talent. RIP my brother. I still remember that afternoon around 2014 when The nights came out. I was with my sister in the car, and we see the song that comes up. "Hey, brother" Those first words were my realisation that an amazing song had gone in. When I heard he died I thought in these words deep in my mind "So live a life you will remember". And he sure did live the life of his dreams. And even thought I was around 7 when he dropped the song, I still knew that what he said was true. Everything was true. AVICII, thanks for visiting my country El Salvador 🇸🇻 I was there with you, dancing and singing your songs. I saw you excited, doing what you loved. I still remember everything you played that night. I understand you cause I am going through the same issue you went too. I don’t know what’s gonna happen to me next year, but I’m sure about something, if I pass away, I wanna be remebered as somebody who overcame the bullying in school. Thanks for everything bro! You helped me through school when I had problems, thanks brother!!! Once again brother, your memory will never be forgotten. Missing those one to one moments. iv gotten some of my best times by dear avicii's tracks.. why avicii why..
con el pude encontrar un lugar lleno de alegria, pude enfrentar los dias malos o los dias buenos solo con su musica, pero en especial con "without you"esa cancion me hace sentir que estoy en un lugar completamente feliz alejada de todo tipo de miedo o inseguridades. sin duda dejó lo mejor de él y se ve reflejado en toda la carrera que tuvo. siempre estará en nuestros corazones. Remembering you now and every day. U will live forever mate, in our hearts. Wow. I just saw your movie. You are so brave for choosing for you. Good on ya mate! Still cant find Words to describe how I feel about the death of Tim.. I still can’t believe it. I truly love you and always will man. I hope you found your peace up there because you deserve it the most. I hope you’re resting well and looking down from above. Peace. Still missing you and also your songs. Your music will live in forever. Thank you for giving us this inspiring music that you have made for us, to live by, to remember, and to follow in the future. To be able to pursue our dreams and goals, and to always keep looking up to ourselves, growing in the future from your amazing musical work. I thank you Avicii, and I wish you were still alive to inspire more and more people in the future. Music was never a passion of mine until I heard your tracks. You opened my eyes up to the art, and your music has - and will always remain - as some of my favourite, as well as the most important music, of my life. Thank you Tim. Rest in Peace. J'ai une grande pensée pour toute sa famille y compris sa copine et son fils, qu'il devait aimé comme son propre fils, quelle dommage que tu es parti avant d'avoir pu en faire un avec ta compagne... Repose en paix Tim, tu le mérite, tu es un type bien. Je me souviendrais pour toujours la première fois que j'ai entendu ta musique, tu es un grand artiste, on se souviendra toujours de toi, ton nom sera écrit pour toujours dans les étoiles, merci pour tout le bien que tu m'as fait avec tes chansons. from JULIANA E. SIGUENZA B.
te extraño,no puedo decir que voy a estar bien. No puedo ni quiero creer que te has ido, seria tan feliz si fuera una mentira. Siempre tus canciones logran sacarme lágrimas aquellas canciones que hiciste con tu alma, las recordare,pero la que esta marcada en mi es "without you".No te conocí en persona, pero en tus canciones siempre hay algo de ti, y has tocado las cuerdas mas sensibles en el fondo de mi alma. Deseo que tu muerte sea mentira. From time to time, I go back listening to Our Love. There's something about that song that really captivates me and makes me dream of heavenly sunsets with beautiful clouds in the sky. After all this time, part of me still hopes that he's still working on it, along with all his other tracks, somewhere in Stockholm... R.I.P. Tim, your music vey beautifull. With Love From Russia! Rest In Piece, Bro. Покойся с миром, дружище. Every time I listen to your songs, I always want you to make songs somewhere like you, I wish that it is the same world. Love from Germany! Miss you! To see the world, things dangerous to come to, to see behind walls, draw closer, to find each other, and to feel. That is the purpose of life. You will always be in our heart, so long my friend. The very first time I heard Avicii, it was like magic. I really loved his music, and thought he was the best out there. He will truly be missed. We'll miss you Avicii.. i'm still listening to your awesome musics..
Hello. I spoke with God. He said Avicii now in the hell (avici budist hell means) and He said Avicii going to be resurrected back to life in 2019-04-21 Easter Sunday with Lord Jesus Christ. Everything like he prophesied about himself with his videoclip "levels". Behold God Glory! Remember when Levels released in 2011, the best year of my life, whenever I listen to this song it takes me back to that moment in time, and that is what I respect of an artist, to etch a memory and when listening to the song you overcome with so much nostalgia. 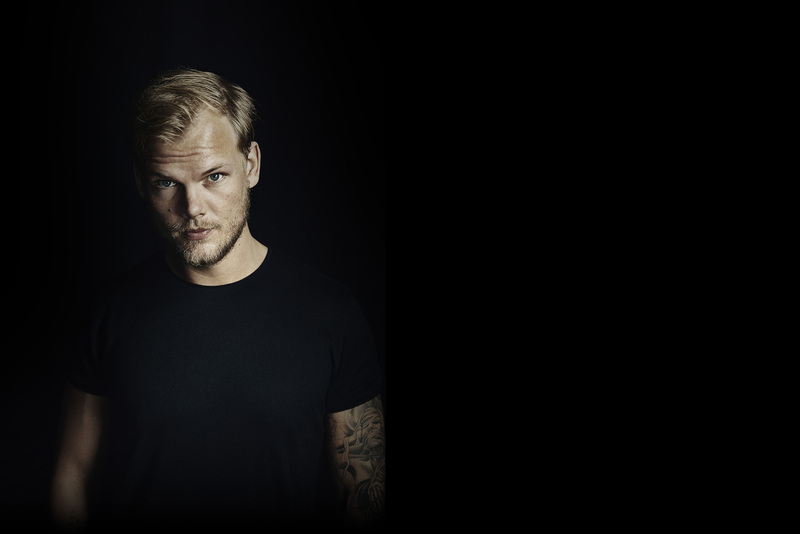 Avicii will always live on through his music. The feeling you gave to all, through your music was unique and impeccable. Rest well Tim!! He was so amazingly inspirational and he made me want to dj like him. It was sad that he felt that he couldn’t go on longer.